It’s easy to use multimedia as part of the question stem – almost all question types have a Multimedia tab as shown in this screenshot. 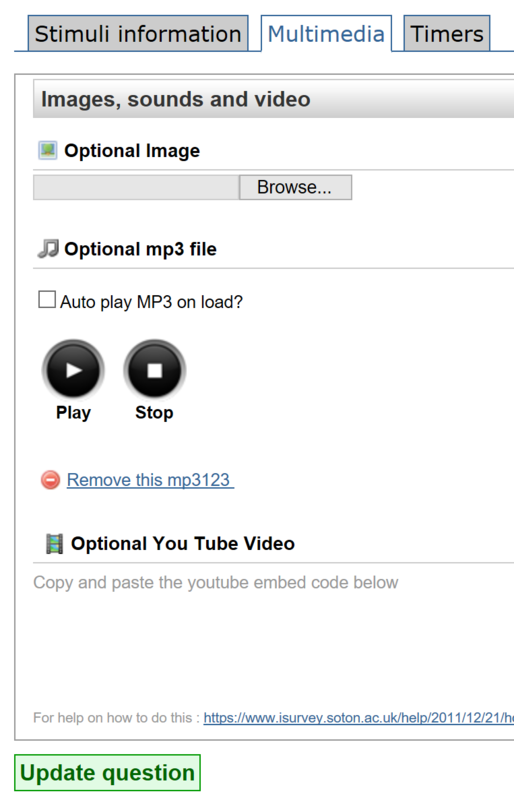 You can add an image or an MP3 audio file, or embed a YouTube video. In fact you can embed all kinds of online media using the appropriate HTML embed code. 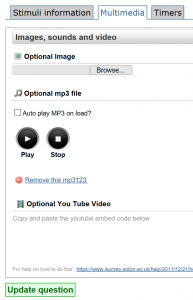 What you can’t do is use multimedia as the answer options (e.g. click on the image that most closely resembles the tidyness of your desk) but there are work-arounds.